Start with two of Carol’s Cookies Snickerdoodle Cookies. We suggest using our Mini Cookies so the sandwich is easier to enjoy. Let your ice cream thaw for 3-5 minutes to make it more pliable. 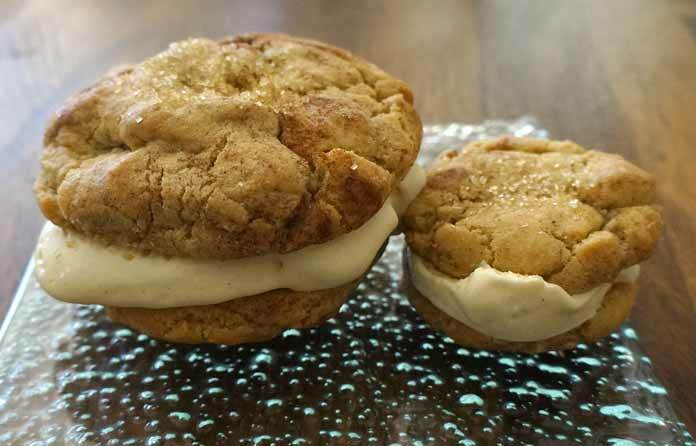 Apply a thin layer of your favorite ice cream flavor to the bottom of one of the cookies. Take the cookie without the ice cream on it and match up the bottoms of the cookies to complete your Carol’s Cookies Ice Cream Sandwich. Enjoy as is, or wrap the sandwich in plastic wrap and place in the freezer to enjoy at a later time.